Back in September 2015 I went to France with my wife, brother and sister and my brother in law. Reason? You guessed it, no reason needed to go to France, that's always a good idea. We just went on a nice little family roadtrip together. Going away for a bit, breathe some fresh air and have some quality time together in a beautiful area. And obviously I took my camera with me to snap some landscapes. Here's a small collection of the photographs I came back home with. We went to Normandy, to the towns of Etretat and Fécamp. Both are incredibly beautiful towns located at the Atlantic shore. 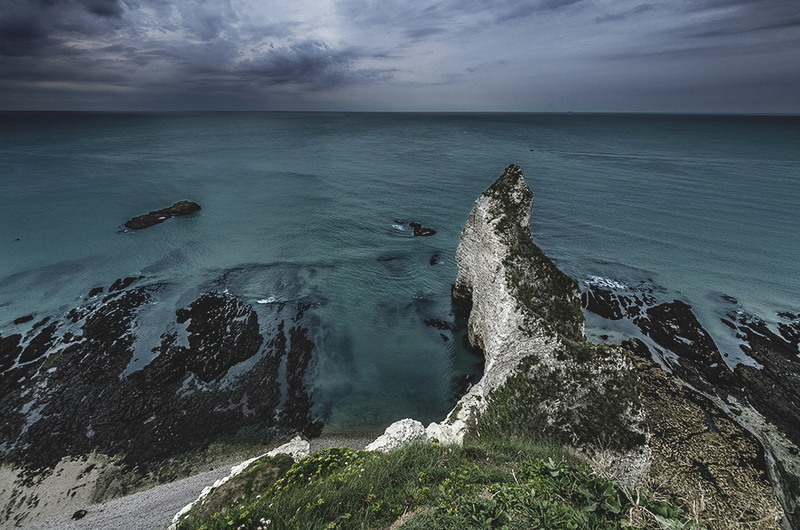 Situated between the cities of Dieppe and Le Havre. The weather was as you expect for this area in September, sunny and warm, but not boiling. Just perfect to go out and enjoy the beautiful scenery. 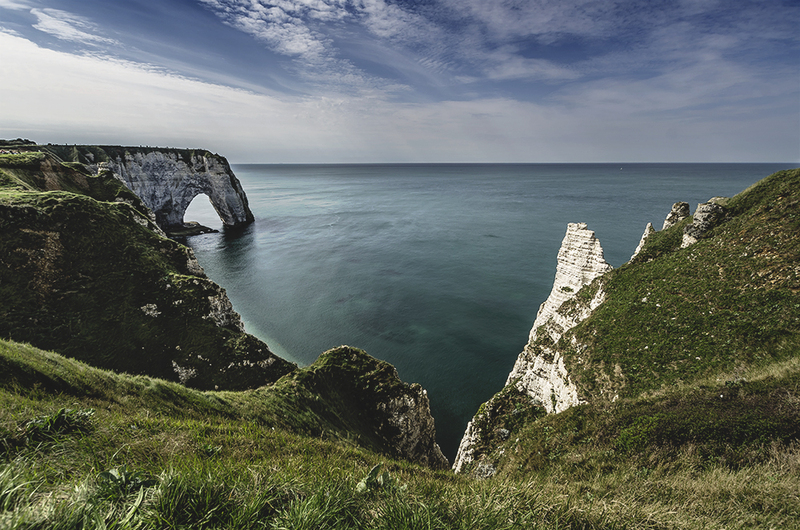 Étretat is best known for its chalk cliffs, including three natural arches and a pointed formation called L'Aiguille or the Needle, which rises 70 metres (230 ft) above the sea. The Etretat Chalk Complex, as it is known, consists of a complex stratigraphy of Turonian and Coniacian chalks. Some of the cliffs are as high as 90 metres (300 ft). Nature has carved fabulous shapes out of the white cliffs at Etretat. The extraordinary site drew Impressionist painters aplenty. Another startling attraction is the cliff-top golf course. Fécamp is situated in the valley of the Valmont river, at the heart of the Pays de Caux, on the Albaster Coast. It is around 35 km northeast of Le Havre, and around 60 km northwest of Rouen. Fécamp has a population of roughly 20.000 people. The history of Fécamp has always revolved around the fishing industry and its harbour (first mentioned in the 11th century). The beach in Fécamp, like many in this area, is shingle rather than sand—that is, made up of small rocks. The falaises make for a dramatic setting. 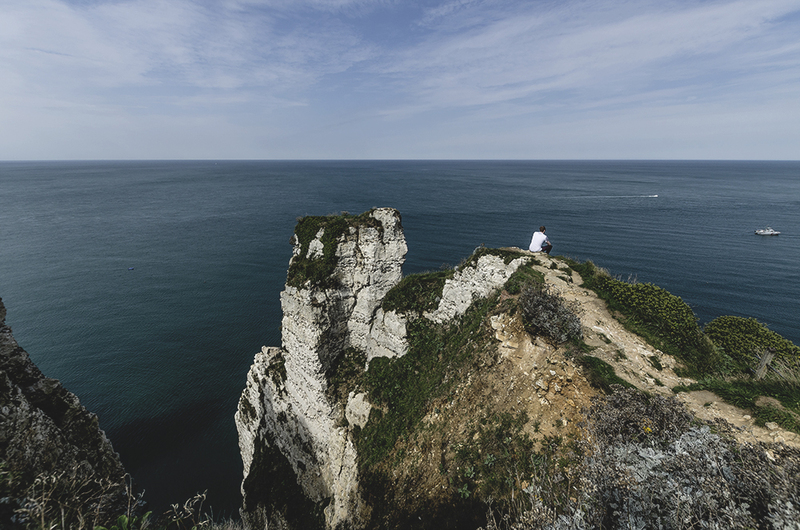 To the north of the town is the Cap Fagnet, with beautiful views of the town and the English channel.